Maneja Beto occupies the universe where Joy Division meets up with Caf? Tacuba in an East Austin cantina and riff on Eno-era Talking Heads songs. Independently releasing 3 critically acclaimed records, the band has garnered invitations from Austin City Limits Music Festival, Joshua Tree Music Festival in California, and South by Southwest and seen radio play from KCRW in Los Angeles and KUT, KVRX and KOOP in Austin. Independently releasing 3 critically acclaimed records, the band has garnered invitations from Austin City Limits Music Festival, Joshua Tree Music Festival in California, and South by Southwest and seen radio play from KCRW in Los Angeles and KUT, KVRX and KOOP in Austin. 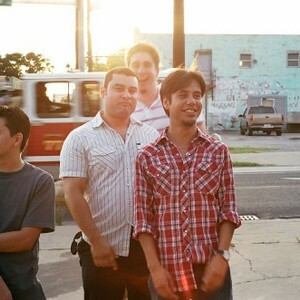 Maneja Beto have opened for Alejandro Escovedo, David Garza, and Austin legends the True Believers, as well as Grupo Fantasma and Los Amigos Invisibles. They have been mentioned by Latina Magazine as a ?Band to watch for 2007". Their second full-length CD Accidentes de Longitud y Latitud was picked top Latin Album of the year by the Tucson Citizen in 2006 and a track from their 2008 untitled EP, "Campanera," was ranked one of the top songs of 2008 by critic Rogelio Olivas.